Looking to Use “Rent-A-Girlfriend” Service? Think Again! A fake French website has revealed something both tragic and pitiful in our modern society by offering to rent men girlfriends who are able to stun relatives, friends or business partners with their charm and beauty. Looking to Rent a Girlfriend? loueunepetiteamie.com (translatable as rentagirlfriend.com) asked the following questions last month: “Have you had enough of being alone? Had enough of your wife?” It further stressed that the “rental services” it offered were strictly non-sexual. 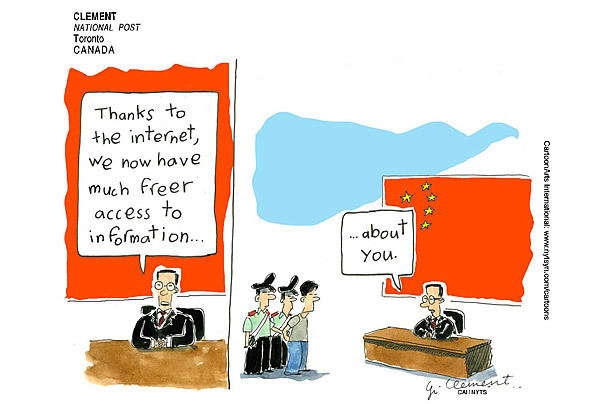 Internet Freedom: A Hoax or a Reality? Touching quote right? I am sure most of you would agree. However, are we really holding our “precious” freedom in our hands? Are we appreciating it as we should? Are we conscious of how our actions might negatively influence the health and sanity of our freedom? I think not! It made me think about the heavy weight the future of our freedom carries upon its shoulder due to this “much freer access of information”. It also reminded me of my clean up trip on Facebook a couple of days ago and of how I had to remove around 300 so-called friends and place around 200 others on my limited profile! 10 Things I Hate About So-Called Gurus! What is the real definition of the word “guru”? How many real gurus, on different topics, could there possibly be? And what is this new emerging trend of having people describe themselves as gurus in their biographies and resumes?